Not everyone caught in the clutches of a cult is able to get free. First she was drawn into the Church of Scientology. After she escaped that deception and came to Christ in 1986, she was lured into a toxic, legalistic Christian cult. Among other abuses the leaders committed, they fraudulently coerced her into turning over a custom publishing company she had cofounded. That took place five years ago. Eventually she was able to walk away from the traumatic situation, get counseling, and go public with her story. The cult leaders lashed back viciously and created entire websites dedicated to humiliating and discrediting Athena and those close to her. After spending twenty-five years in the book-publishing industry in the Pacific Northwest, Athena served as a broadcast missionary under Commission to Every Nation with her program for women, “Always Faithful Radio,” on AM 630 KSLR in San Antonio, Texas. As a speaker, author, blogger, publisher, and now a pastor’s wife, Athena helps people who have been wounded by the church and other traumatic life experiences. Build Your Platform & Promote Your Work Through Speaking – Let Athena Dean Holtz help you map out your own individualized plan for using public speaking to build your author platform and promote your book. Includes hands-on exercises to get you started on your journey. Athena is passionate about encouraging people to learn to trust God, even in the wake of spiritual abuse, trauma, or loss. “My prayer is that they will experience God’s faithfulness and restoration in the midst of the difficulties of life and suffering,” she says. 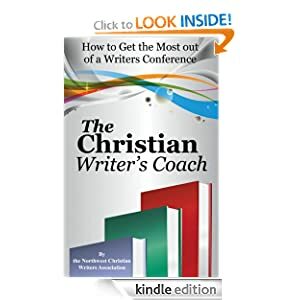 Her involvement at the Northwest Christian Writers Renewal is borne out of that passion. “I pray that people who’ve been wounded will learn to comfort others with the comfort God gives them,” she says. As a Renewal sponsor, Redemption Press is holding a drawing at its vendor booth. The winner will receive a professional bundle of publishing services valued at $2,200. 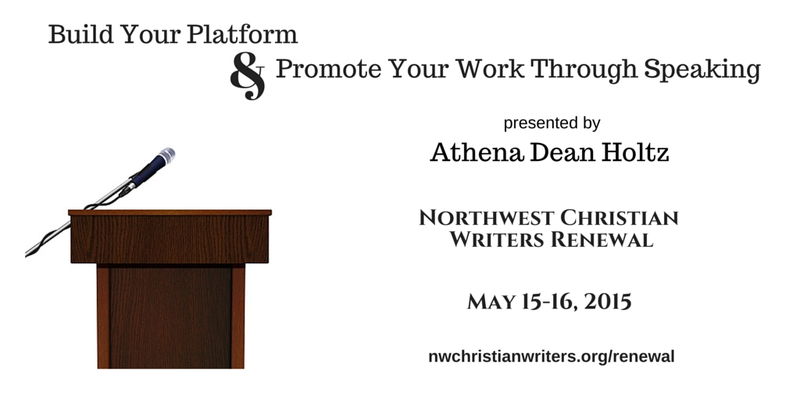 To enter the drawing, as well as have the opportunity to be coached by Athena in one of her three WriteCoach Lab sessions, sign up today for the 2015 Northwest Christian Writers Renewal. Are you interested in learning the basics of the writing craft? Do you need an expert to show you the ropes? Many writers experience discouragement when they start out, and Grace knows a great deal about pushing through those times. Whenever she has felt like quitting, God has been faithful to inspire readers to send her encouragement. 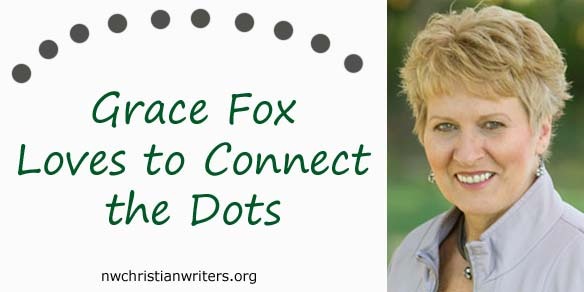 Grace’s passion is to connect the dots between faith and real life to help her audiences live the life God intends for them. Drawing from Scripture, as well as personal experiences while living on Canada’s rugged coastline, in urban USA, and in Nepal’s Himalayan mountains, she uses the written page and the public stage to build Christ-based confidence in audiences worldwide. Her quick wit, real-life stories, and biblical insight keep her in constant demand as a speaker. 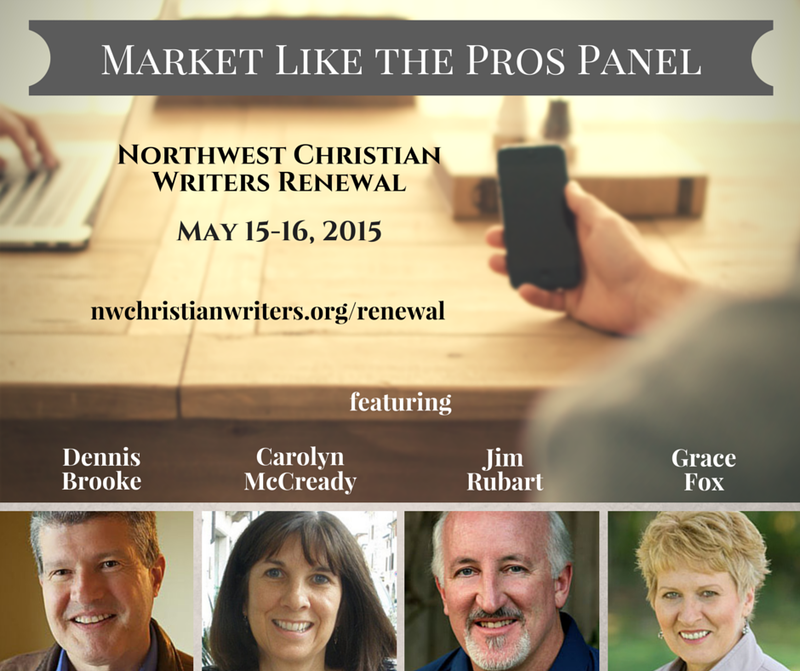 At the Renewal she will serve on a marketing panel with Carolyn McCready, Jim Rubart, and Dennis Brooke on Friday, May 15. 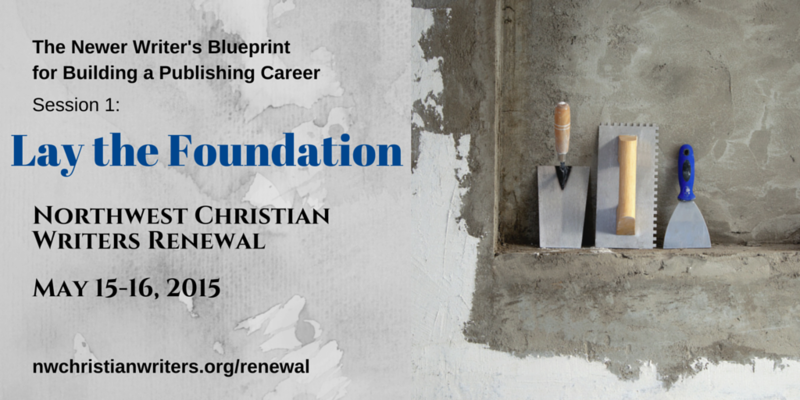 Session 1: Lay the Foundation: Every effective and lasting publishing career begins with a carefully laid foundation. Discover ten components necessary for creating the strongest foundation possible. Session 2: Build the Platform: Learn how to define your brand, grow name recognition, and build your publishing platform using websites and social media. Discover biblical truths with which to weigh those practical realities, and then determine your personal approach to platform building. Session 3: Add the Extras: Boost your publishing career by developing speaking presentations around your writing topics. Brainstorm possible themes and learn how to formulate a presentation. Brainstorm other ancillary products that promote your writing, encourage your audience, and earn income. Grace’s articles have appeared in more than forty different publications, including Focus on the Family, Reader’s Digest, Insights Canada, Power for Living, War Cry, and Today’s Christian Woman. Her eight books include Moving from Fear to Freedom: A Woman’s Guide to Peace in Every Situation and the corresponding DVD-based Bible study. She’s a popular international speaker and is national co-director of International Messengers Canada, a ministry that offers creative short-term and career missionary opportunities in Eastern Europe. Her frequent media appearances include 100 Huntley Street, It’s a New Day, and The Harvest Show. 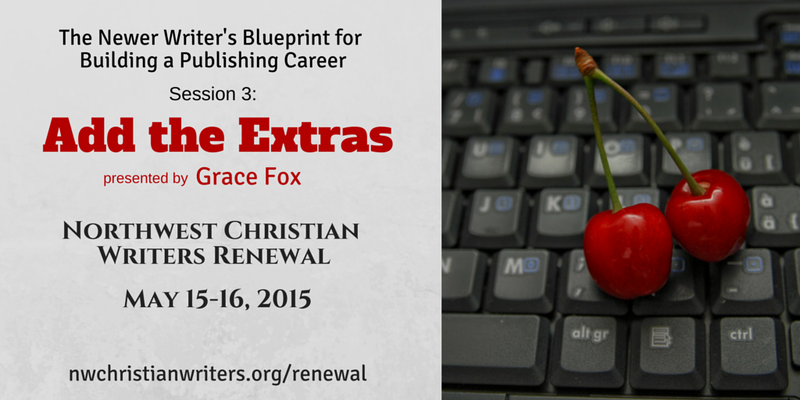 To benefit from Grace’s three-part continuing workshop, sign up today for the 2015 Northwest Christian Writers Renewal! Carolyn McCready lives in Eugene, Oregon, where she cheers on the Ducks and loves film, music, cooking, and travel. She’s also an avid reader. With her schooling in education and English, she originally intended to be a teacher, but a summer bookstore job changed her plans. She remained at the bookstore for ten years, working as store manager and the book and Bible buyer. 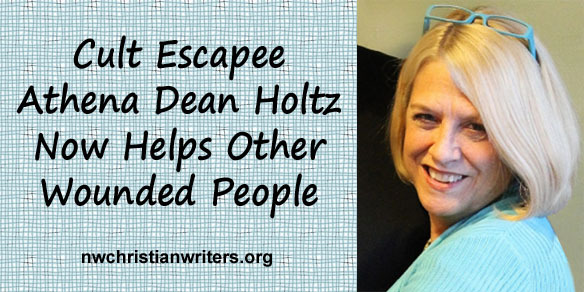 Her expertise led to her become the Vice President of Editorial at Harvest House Publishers. 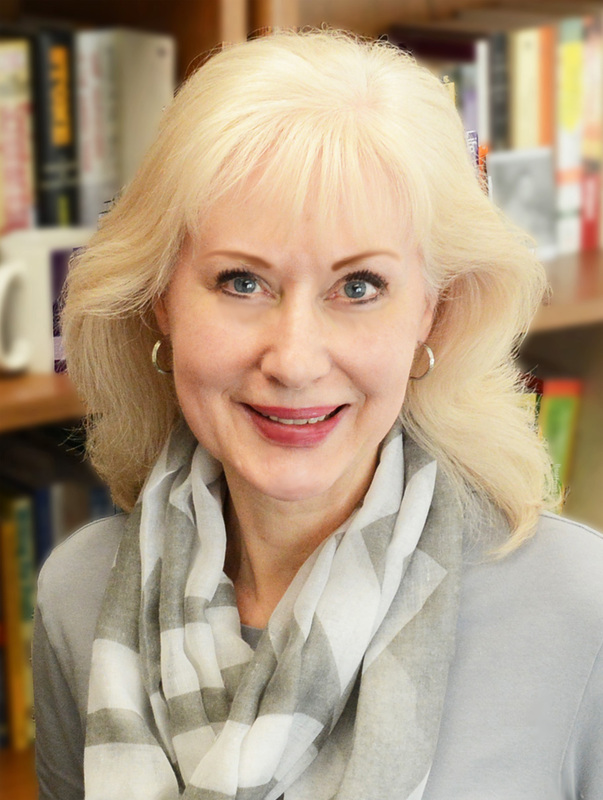 Carolyn is now an executive editor with Trade Books for Zondervan Publishers, a division of Harper Collins Christian Publishing. She has worked with such authors as Lysa TerKeurst, Stormie Omartian, Kyle Idleman, Rachel Macy Stafford, and Shauna Niequist. 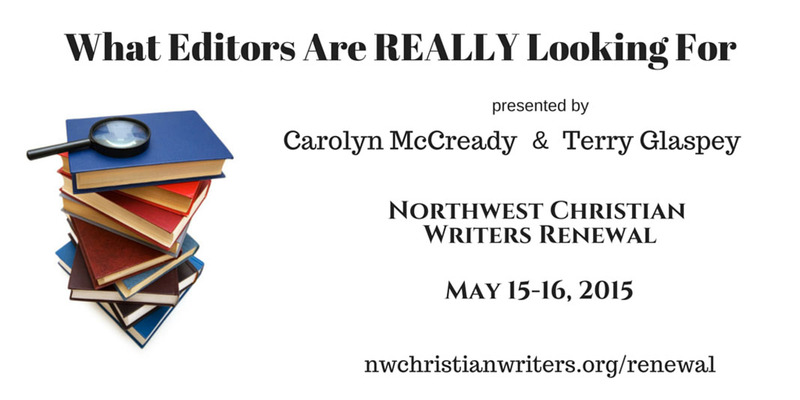 On Friday, May 15, at the 2015 Northwest Christian Writers Renewal, Carolyn will meet with writers in group appointments. If you want to show her your work, please follow the guidelines concerning what she would like to see and what she’s not looking at right now. She will also serve on a marketing panel with Grace Fox, Jim Rubart, and Dennis Brooke. The following day, May 16, Carolyn will co-teach the workshop, “What Editors Are Really Looking For,” with fellow editor Terry Glaspey. Three years ago NCWA member Kirk Kraft interviewed Carolyn on his blog right before the 2012 Renewal conference. Kirk has graciously allowed us to reprint that informative interview here. Kirk: Could you tell us a little about the progression of your publishing career and your current role? Carolyn: My degree is in education and English, and I expected to be a teacher. Along the way, though, life took one of those turns that can change everything. I took a summer job at a Christian bookstore, working for a wonderful store owner. I planned to be there for the summer and find a full-time teaching job the next year, but I learned that my love of books and the joy of connecting people with the perfect books for them made this a great job for me. I worked there for ten years and became the store manager and book and Bible buyer. During that time I developed relationships with most of the major publishers and worked for Zondervan as a dealer advisor. After that I took the job of Executive Editor with Zondervan and am thoroughly enjoying my role of acquiring nonfiction trade books. I still live in Eugene, Oregon, but I travel regularly to Grand Rapids to work with my colleagues at Zondervan and around the country to meet with authors. Kirk: How do you know a story is a winner when you read it? Carolyn: I love reading fiction although I don’t acquire much in that arena. But with fiction, it is usually a combo of a great voice, engaging characters, and a story that makes me want to turn the page. I’m looking for something fresh, as so much of the fiction we see—and even publish—feels the same. It’s like watching the pilot of a new television show or the beginning of new movie—sometimes it just hits, and you feel it. It grabs your attention, and you want to spend time in that world. It can even be in a very typical genre but still stand out. You know it when you read it. Kirk: What is the biggest mistake you see writers make in their submissions today? Carolyn: I think the biggest mistake might be not understanding what editors need to help their publishing team decide to publish a new book. We need to see that you have a great idea, a significant—or at least growing—platform, and strong writing skills. The platform issue is very important, but it doesn’t have to mean that you are the pastor of a large church or a speaker for major women’s conferences. You do have to show that you are working hard to gain a following and that you have made progress in that arena. Speaking, blogging, writing for magazines and newspapers, leading workshops on your topic—all can be really important to a publisher. Then give us a marketable topic (and the reasons that it is—do your research! ), and finally, and very importantly, hone your writing so it’s as strong as it can be. Kirk: What would you say are the biggest myths in publishing? Carolyn: That you must have a large platform to get published. It certainly helps—and you will hear that from every publisher—but there are certainly exceptions. Sometimes it’s all about a great story and good storytelling. Look at Heaven Is for Real! Thanks again to Kirk for letting us share his interview with Carolyn. 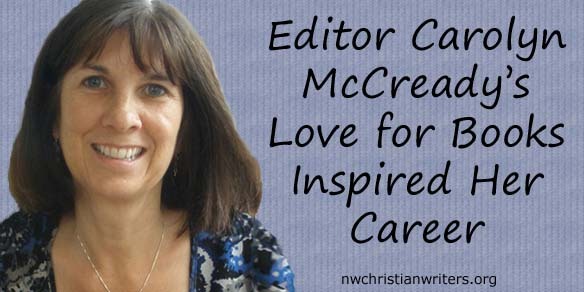 To request an appointment to meet with Carolyn McCready, sign up today for the 2015 Northwest Christian Writers Renewal. Authors: Are You Overlooking Your Hidden Profit Opportunities? Posted on January 28, 2013 by m.m. NCWA blog welcomes Tony Marino! Tony will be our main speaker for the February meeting. See end of post for links. Ever heard of “Back-End Selling?” You may think of it as follow through, or maybe VALUE added. Both are good terms. Let’s take a quick look and see just how you can profit from this idea. For our purpose today, let’s just key in on the benefits of “Back-End Selling.” “Back-End Selling” is simply the SELLING you do AFTER the first sale. Your profits come primarily from repeat business rather than from the initial (first order) sale of your product or service. Your greatest COST (accumulated expenses) is in the FIRST sale. This is certainly true in most cases. How long did you have to work before that first sale? Did it take you ten minutes or ten years? All the time this customer was NOT buying from you there was still the overhead to shell out. Obviously, some high-ticket items can absorb the cost and still be profitable. You only need the one sale from a customer. However, we could probably agree that most items that we sell or buy are of a more moderate dollar value. Meaning the profit return comes from the repeat customer. Have you ever known a razor company to give away the razor? Why? The profit is in the blades! It’s happening today on the Internet. Computers are getting cheaper and cheaper. Even free when you sign up for a service. Sometimes a company will giveaway or “loan” a machine to a customer because the profit is in the supplies. This is known as “back-end” selling. You have the challenge to find your “back-end!” How can you make more sales to the same customer? Sell more of the same product? Service? Can you offer an add-on? Related items? It can even be something entirely different. Put another way, just keep selling “something” to the same customer. Your best source of new or continuing revenue. Many firms stop with the one (1st) sale and never realize the added profits they are leaving behind. YOU would never let this happen. On the other hand, maybe it would just be a good exercise for all of us, to ASK yourself, am I selling everything I possibly can to ALL of my current customers? Hits hard, doesn’t it? Think about it! You have been successful in making that first sale. Why? Our basic assumption is that you have earned their confidence. Trust. You have lived up to your promises. Your product or service has met or exceeded their expectation. It’s only natural to believe that you will live up to this same level of competence in the future. Search for your “USP” (Unique Selling Proposition). What is it that makes YOUR firm stand out from the pack? Are you REALLY any different? Do you offer something special that only YOU can provide? This is what separates the great businesses from the also ran. You have to be unique. Different! A visionary. Added VALUE is every customer’s expectation today. Your next challenge is to find as many “back-end” products/services as you can. There is no better customer than one who has already done business with you. YOUR greatest business asset is your customer; without him/her there is no business. If you are operating an online business, you may want to simply add (embed) an “up-sell” product right inside your “Thank You” page. Over time, check the added increase to your bottom-line. Chances are, you will undeniably discover a significant positive difference. Treat your customer like “Gold!” Look for new products to compliment your initial sale. Separate yourself from the plain and ordinary. Be a crucial source of information. Make suggestions. Offer unlimited assistance. Work hard at keeping every customer happy. After all, they are your most valuable business asset. PERIOD! Click here for details regarding Tony’s February appearance at the NCWA meeting. Tony Marino is a husband and father and is the founder of Christian Discipleship Ministries International, Christian Times Online, and Trinity Web Works. He is the founder and Executive Producer of the Alive In Christ Radio Network. He has represented acclaimed authors Mark Victor Hansen, Jack Canfield, James Robison, Dr. James Dobson, Ted Nicholas, Jerry Jenkins, Luis Palau, Beth Moore, and Joyce Meyer.